Another bucolic fall in northern New Hampshire, and the semester is under way at Bishop's Hill Academy. But this year the start of school has been less than tranquil. The new headmaster, Jim Hawthorne, has liberal ideas that the staff find far from welcome; eloquent as he is on the subject of honor, rumor has it he's taken this job to escape his past. And Hawthorne isn't the only uneasy newcomer. There's Jessica Weaver, a stripper at fifteen, and Frank LeBrun, a replacement cook who's a bit too quick with a dirty joke. All three have secrets to conceal, memories to suppress. Serene on the surface, the ivy-clad, tree-lined campus gives few clues to the school's history of special privileges, petty corruptions, and hidden allegiances. And as winter closes in, students, teachers, and staff get an education in savagery and murder. With his uncanny awareness of the intricacies of human nature, the acclaimed author of The Church of Dead Girls once again probes the daily life of an ordinary community to reveal the depths of good and evil. 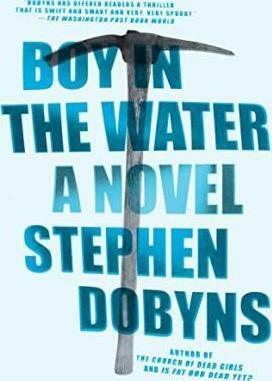 Stephen Dobyns is the author of more than thirty novels and poetry collections, including The Church of Dead Girls, Cold Dog Soup, Cemetery Nights, and The Burn Palace. Among his many honors are a Melville Cane Award, Pushcart Prizes, a National Poetry Series prize, and three National Endowment for the Arts fellowships. His novels have been translated into twenty languages, and his poetry has appeared in the Best American Poems anthology. Dobyns teaches creative writing at Warren Wilson College and has taught at the University of Iowa, Sarah Lawrence College, and Syracuse University.